Discover the highlights of Shanghai during this exclusive guided tour, reserved for you and your own private group. 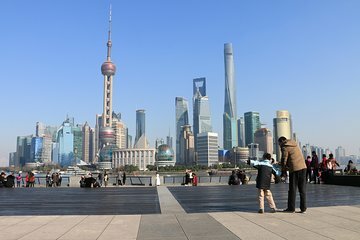 Perfect for first-time visitors with limited time to spare, this full-day excursion hits the city’s top attractions, from traditional sights like a Ming-era garden and an ancient Chinese tea house to the tallest skyscraper in Shanghai. Hotel pickup is included, and you’ll get a taste of authentic Shanghai cuisine with a savory lunch spread.